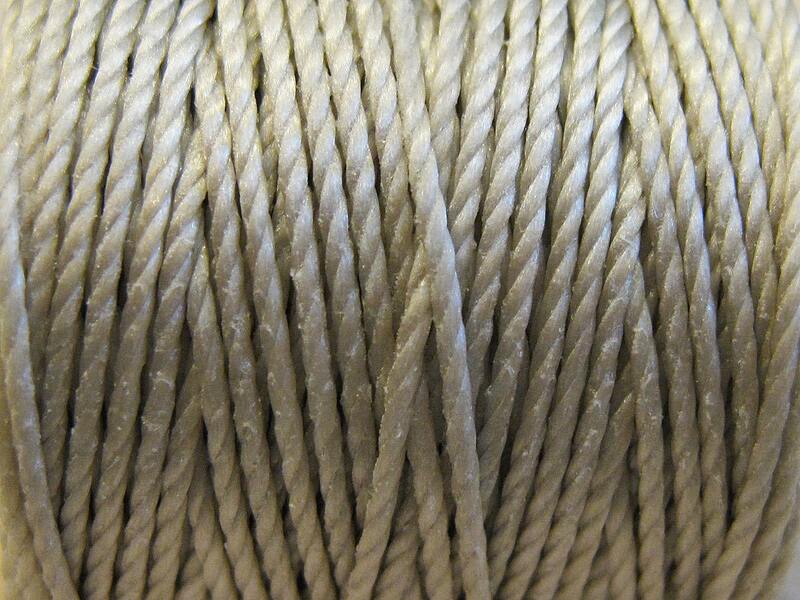 Light Gray heavy weight Superlon Tex 400 or S-Lon cord has a diameter of .9mm. It is a bonded, 3-ply, twisted multi-filament cord, similar in size to Griffin #10. 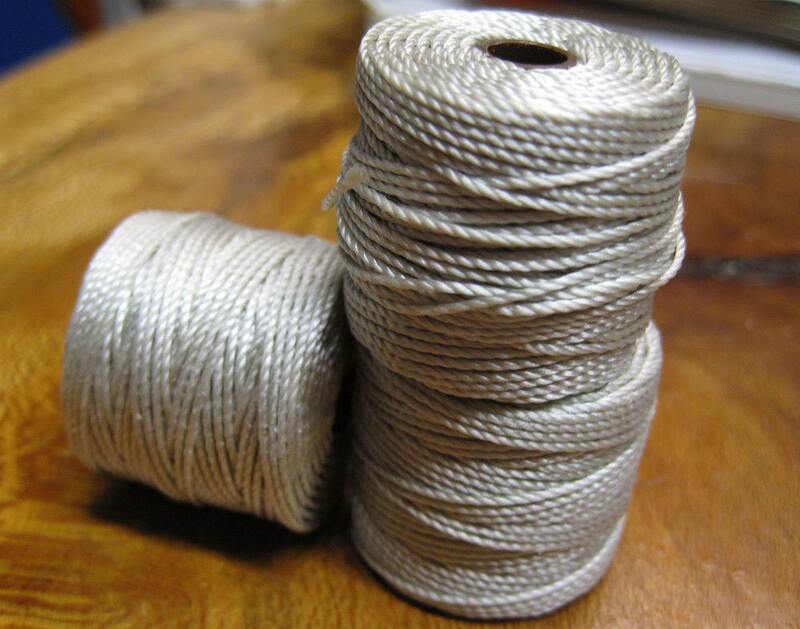 You will receive one spool of light gray cord, 35 yards per spool. A returning customer to a shop that always has a great variety for a great price! Thank you, for shipping so quickly and packaging so carefully. I love all my items and will be back again! !